Kids, they grow up so fast- literally. They can grow out of 6 – 7 sizes in just two years; that’s a lot of clothing that’s probably never going to be worn again. And considering that nylon-based clothing can take up to 40 years to decompose, they’re staying on the planet alongside your kids, too. We know that saving the earth and becoming more conscious consumers is important- but how often do we remember to teach this to our children? Aristotle and Plato would both have agreed that “Educating your kids about how to lead an upstanding life is the single most important thing you can do to guarantee their happiness”. So what are you waiting for? 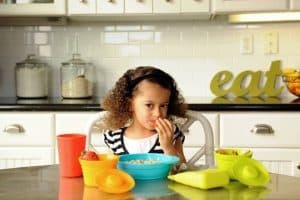 Start them on their conscious living journeys young with these four green, kid and planet-friendly companies. 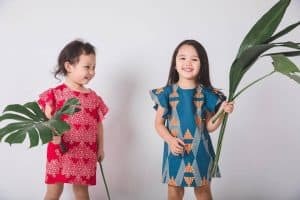 Little Islanders is an ethical clothing label for kids. 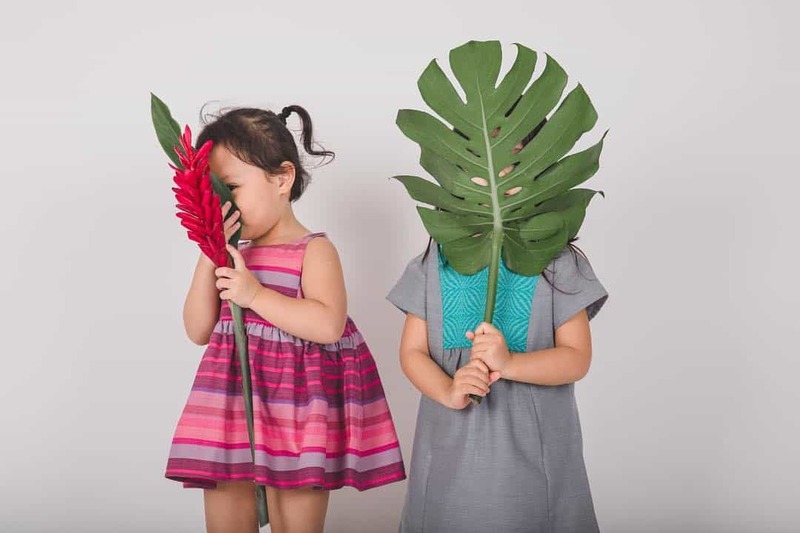 They make thoughtfully designed, contemporary everyday luxe kidswear with an urban-island aesthetic, using sustainably sourced artisanal hand-loomed fabric from the Philippines. 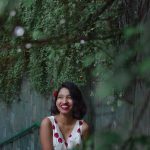 Their clothes are produced in a fair and ethical process by a small sewing workshop in Hong Kong, which channels its profits to support local grassroots community projects. If you want to buy gorgeous, durable and comfortable pieces that your kids will want to save for their kids, head here. Pur’itsy is all about safe, non-toxic and eco-friendly products for home, baby and you. They carry awesome alternatives to plastics products; From award-winning bottles & kids’ foodware made of glass, silicone, stainless steel & ceramic to great discoveries like cork building blocks & the best disposable eco-diaper ever! For all your everyday parenting needs, look here. Modern, Ethical and Sustainable Baby & Children’s wear. If you’re looking for children’s clothing that’s ethical, sustainable, affordable and totally cute, Hunter & Boo has got you. They set out from the beginning to be an amazing children’s wear brand of action by building the business on a set of firm ethical foundations. This is reflected through the entire supply chain from the moment fabrics have been chosen to the finished product that ends up in your hands. Check them out here. Children need the right kinds of environments to not only grow in, but to thrive. 513 Paint is here for all your environmentally-friendly and sustainable house-painting and decorating needs so that you can create the perfect room for your child to learn and grow in. 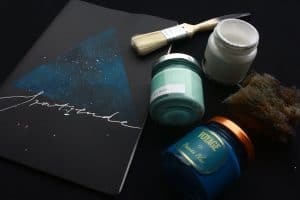 513 Paint Shop is a boutique paint shop that’s all about bringing brilliant colours to people safe and environmentally friendly paints for home interiors. With their well-crafted selections and beautifully designed solutions, they offer individuals and designers the professional assistance they need in choosing unique paint colours and other home décor products. They also run children’s STEAM educational workshops in the summer, and little craft kits for your kiddos too! Check them out here. This is only just the beginning, but learning to be an eco-warrior has no age-limits. Go forth, and allow your children to be the future heroes and heroines of the world.